What is a Consultation and Trial? Is it necessary? Your consultation and trial is the perfect opportunity for you to meet with your Makeup + Hair Artist and discuss how you want to look on your wedding day! This service includes: color consultation – discussion of wedding theme, colors, desired makeup+hair for the day, face chart, full application of makeup including false lashes and trial of your hair design. This service is optional for bridal party members and mothers. Bridal Trials are highly recommended as it gives the artist an opportunity to get to know you and what you want. Because wedding mornings are very fast paced, it does not allow for much time to do a consultation on the wedding day. It is more more relaxed for both the bride and bridal artist to just recreate what has already been mapped out on the day of the trial and each look will only improve on your wedding day! Trust us, it’s an important part of the process! 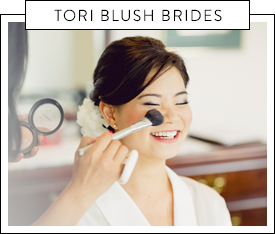 Tori Blush Artists are generally booked 6-12 months in advance (believe it or not!) so it is important to come in as soon as possible to secure your wedding date. For many brides, a deposit is made well before their trial to ensure their wedding date is held. Once a deposit is received, a consultation and trial can be scheduled two to three months before your big day! Waiting until closer to your wedding day allows the artists to see your skin and make any skincare recommendations if necessary. It’s also nice to see the length of your hair to ensure your requested style is attainable. Where do your Consultations and Trials take place? Principal Artist, Suzanna and Lead Artists conducts all trials at our studio in New Westminster. Can I book my Trial on the day of my Engagement shoot? In theory this is a great idea, however, you don’t want to look the exact same in your engagement pictures as you do on your wedding day, do you? I always suggest doing a separate engagement makeup+hair appointment as the trial is really a day to lock down and try your entire wedding day look. Engagement makeup + hair is generally a little more relaxed and casual. But definitely plan your trial on a day where you have somewhere to go. Date night or even your bridal shower is a great day to test out and wear your wedding day makeup + hair! What is airbrush makeup – will my makeup last all day? Airbrush makeup is a process where foundation is sprayed in micro dots onto the skin. 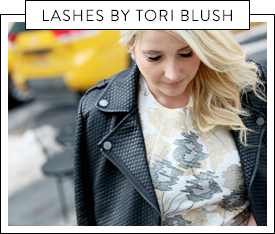 At Tori Blush we only use Temptu professional airbrush makeup which provides flawless coverage that doesn’t look or feel caked on. The best part is, it lasts and lasts – even through the heat and all the tears! We also only use high end luxury brands that have been tried, tested and have proven to go the entire day, morning til night! We carry all high end luxury brands of makeup including NARS, Chanel, Urban Decay, Stila, Makeup Forever, have a variety of professional and luxury well suited to accommodate all the different skin types. Yes! We have a large enough team to cover as many women as you require. Each booking of 4 come with two Artists. For parties of 6 or more, each additional artist is $150. This is to help with the speed of getting all of your beautiful ladies ready. Plus, no one wants to wake up earlier than they have to! How long will it take to get everyone ready on the wedding day? The Bride is allotted approximately 1hr 30min for both makeup and hair services. Please allow 40 minutes for each service for Bridesmaids, Mothers and other Attendants. Do you provide a Touch-up Kit or Touch-up Services? Do you have a minimum booking policy? Yes, due to the demand for our bridal services all year round, we have a minimum booking of 4 people for makeup and hair. You will have 2 artist getting you and your bridal party ready for your big day. How do I book Tori Blush Bridal Services:? A wedding day is not considered booked until a deposit has been received and a contract signed. 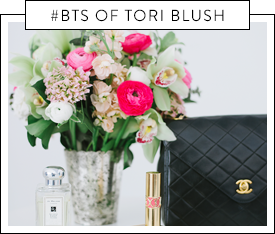 If you would like to secure your bridal services with Tori Blush, it is important to book your trial as soon as you have confirmed your wedding date. You can opt to have your trial at a later date, but submit your deposit to save your date! 50% deposit is required to hold and secure your wedding date and time slot. 50% is due on or before your wedding day, prior to the commencement of services. Yes. GST is included in all Bridal Rates. There is a $40 travel fee for all bookings within Greater Vancouver. For bookings outside of the Greater Vancouver area, additional travel fees apply. Parking fees and gratuities are not included. Any parking fees incurred will be an additional charge.